Get up to date by offering the next generation of security cards. Soon Visa and Mastercard will require all merchants to accept EMV/Smart Cards or may surcharge in the future for non SCR transactions. See also the T4220 Dual Communication (dual connection) model which also allows both ethernet connectivity or phone line connection. Ideal for backup connection if internet or phone line is down. Why settle for a dial terminal that limits your business? The T4205 is everything a merchant needs, nothing they don't. Since the T4205 is built on the extremely successful Optimum T42xx platform, your existing certified business applications for Optimum T42xx family terminals will run on the T4205 without any modifications. That's right! No re-certification is needed to take immediate advantage of the economically priced and full featured T4205. The T4205 comes standard with 24MB of total memory, an ARM9 processor for fast transactions and multi-application support. The T4205 is also PCI PED approved so that you can support debit with or without an external PIN pad. No better value exists for sensibly upgrading your install base to PCI PED compliance. 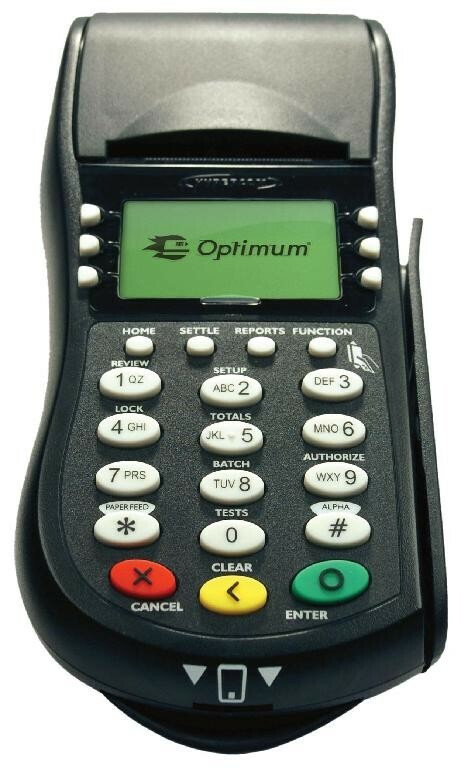 You can also accept chip card transactions with the optional EMV-approved reader. Shouldn't your merchants enjoy the benefits of an economical next generation terminal without compromise? Don't settle for second best, offer the T4205 as part of your total product portfolio offering and see the difference that Hypercom can make for you.